I never know what to give my students as gifts. Honestly, half the time I wait until the last minute, panic, and come up with some over the top corny gift. What I have come to realize is that my students don’t expect anything from me, and whatever I do give them they like because it comes from me. Here are a few cheap and free ideas that may help you, the busy teacher, out. 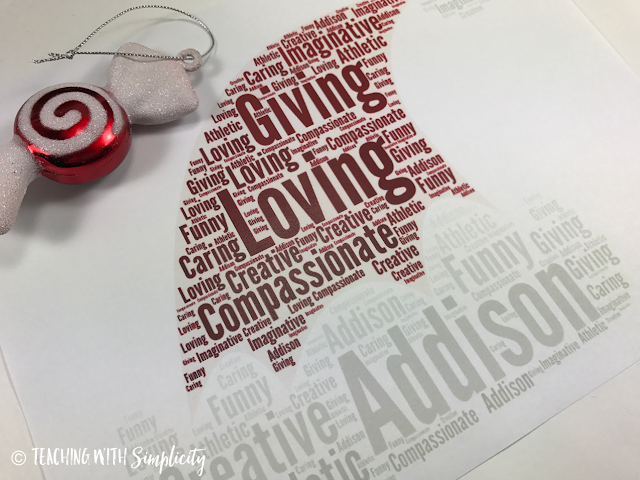 Create a word cloud for each student using Wordle or Tagul. Students love to read things about themselves! Scholastic Reading Club always has one dollar books. If you have bonus points, what better way to spend them?!? Are you out of time and know you won't get the books before you need them? Create a "Free Dollar Book" coupon for your students which will allow them to choose their own book on the next book order! You can download a free printable coupon to give your students HERE. Do you have old board games lurking in a closet? I'm betting that your students do too! Send a note home to parents asking for old board games that they would like to rid of. Wrap them up, and then as a class open them up! 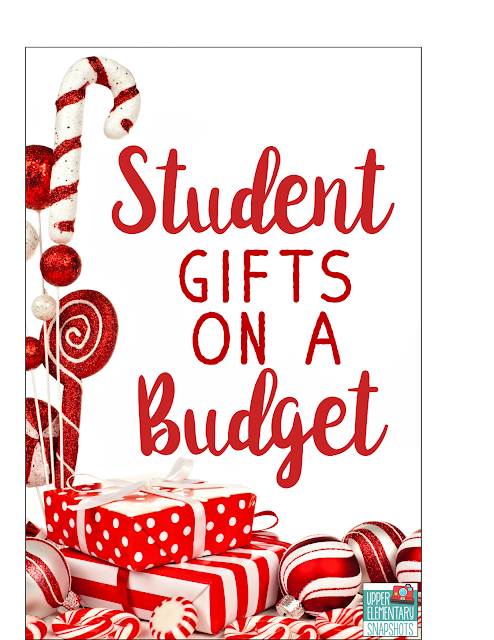 It will be like Christmas Day in your classroom. Your classroom will inherit games that can be played throughout the year. They'll love it, guaranteed! What better way to end the last day before break with a movie day and hanging out in PJs? My students consider this a treat and love the opportunity. My favorite gift that I’m using for the second year in a row is The Coupon Book. Best of all, it’s FREE to me. The only thing that I need to do is copy, cut, and staple. Then…ta-dah…it’s done! Here’s how it work. 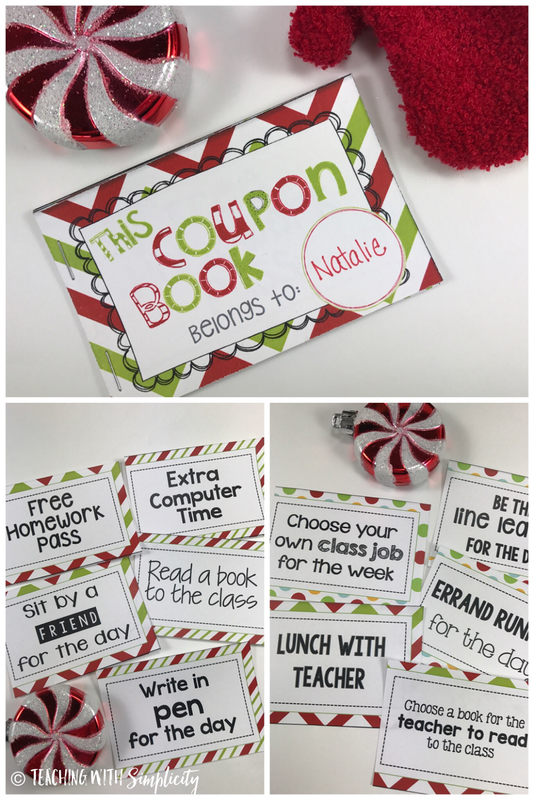 Each student receives a coupon book, and each book contains ten different coupons that students can use at their leisure. Students can use their coupons immediately, or they can save them and use them throughout the rest of the school year. You can download the coupon book for free HERE. It's a gift that keeps on giving.